Successful process development enables a smooth and rapid path from cell line development to commercial product delivery. 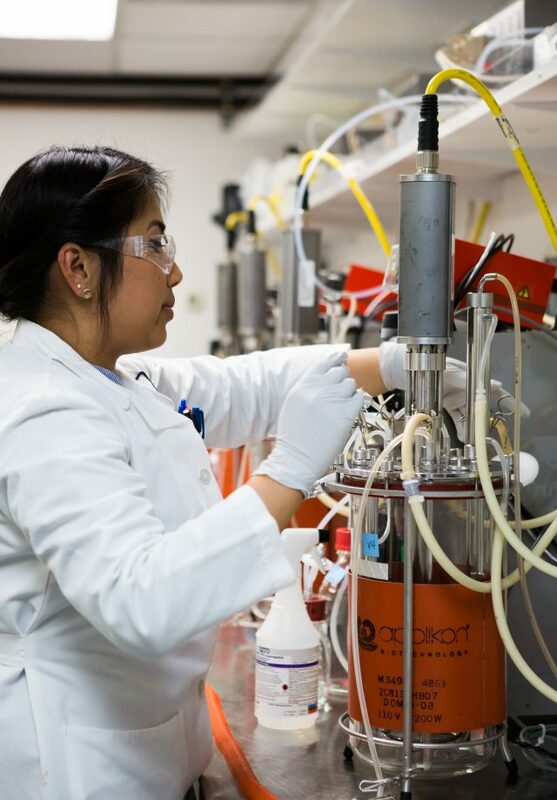 In preparation for cGMP production, the Process Development team designs manufacturing processes to support Phase I – III clinical trials and assesses how robust a process is, how it behaves as conditions are altered, and what the critical factors are for success. Process validation is then implemented at Phase III to secure a commercial quality process for delivering reliable product supply. The team is also experienced in optimization of individual steps in an existing set of unit operations to confirm the overall process is best-suited for cGMP production.